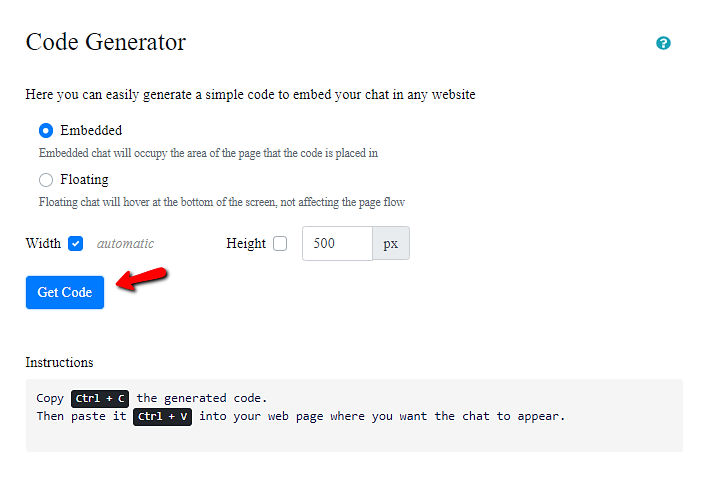 If you’re not using one of these applications, we’ll give you one line of code that can be placed in any website to instantly open your RumbleTalk group chat. Previous postWhy is my RumbleTalk group chat not loading properly? Next postWhat personal information is displayed to other users?